FAQs for Senior Citizens under Income Tax Act. ​At what age a person will qualify as a senior citizen and very senior citizen under the Income-tax Law? ​Is there any special benefit available under the Income-tax law to very high aged person, i.e., very senior citizens? ​Is there any special benefit available under the Income-tax law to senior citizens? ​Is a very senior citizen granted exemption from e-filing of income tax return? ​Is a retired senior citizen granted exemption from payment of advance tax? ​What are the benefits available in respect of expenditure incurred on account of medical treatment of specified diseases on treatment of a senior citizen or a very senior citizen? ​What are the benefits available in respect of expenditure incurred on account of medical insurance premium/ medical expenditure to a senior citizen/very senior citizen and on account of? 1. What are the benefits available to a senior citizen and very senior citizen in respect of tax rates? A senior citizen is granted a higher exemption limit compared to non-senior citizens. The exemption limit for the financial year 2018-19 available to a resident senior citizen is Rs. 3,00,000. In other words, a resident senior citizen is not liable to pay any tax up to income of Rs. 3,00,000. The exemption limit for non-senior citizen is Rs. 2,50,000. Thus, it can be observed that an additional benefit of Rs. 50,000 in the form of higher exemption limit is available to a resident senior citizen as compared to normal tax payers. A very senior citizen is granted a higher exemption limit compared to others. The exemption limit for the financial year 2018-19 available to a resident very senior citizen is Rs. 5,00,000. In other words, a resident very senior citizen is not liable to pay any tax up to income of Rs. 5,00,000. The exemption limit for non-senior citizen is Rs. 2,50,000. Thus, it can be observed that an additional benefit of Rs. 2,50,000 in the form of higher exemption limit is available to a resident very senior citizen as compared to normal tax payers. ​2. At what age a person will qualify as a senior citizen and very senior citizen under the Income-tax Law? Must be of the age of 60 years or above but less than 80 year at any time during the respective year. Must be of the age of 80 years or above at any time during the respective year. (1) Mr. Kumar (resident in India) attained the age of 60 years during the financial year 2016-17. Will he qualify as senior citizen under the Income-tax Law for the financial year 2016-17? Yes, since Mr. Kumar is a resident and he attained the age of 60 years during the year 2016-17, he will be treated as senior citizen under the Income-tax Law for the financial year 2016-17. (2) Mr. Kamal (non-resident) attained the age of 60 years during the financial year 2016-17. Will he qualify as senior citizen under the Income-tax Law for the financial year 2016-17? Mr. Kamal is a non-resident, the benefits of senior citizen under the Income-tax Law are available to a resident only, and hence, Mr. Kamal will not be treated as senior citizen under the Income-tax Law for the financial year 2016-17. (1) Mr. Raja (resident in India) attained the age of 80 years during the financial year 2016-17. Will he qualify as very senior citizen under the Income-tax Law for the financial year 2016-17? Yes, since Mr. Raja is a resident and he attained the age of 80 years during the year 2016-17, he will be treated as a very senior citizen under the Income-tax Law for the financial year 2016-17. (2) Mr.Rajat (non-resident in India) attained the age of 80 years during the financial year 2016-17. Will he qualify as very senior citizen under the Income-tax Law for the financial year 2016-17? 3. Is there any special benefit available under the Income-tax law to very high aged person, i.e., very senior citizens? ​​​Yes, the Income-tax Law very well takes care of very senior citizens of the nation by offering special tax benefits to high aged person (80 year or above). ​4. Is there any special benefit available under the Income-tax law to senior citizens? ​​​Yes, the Income-tax Law very well takes care of the senior citizens of the nation by offering them several tax benefits.In this part you can gain knowledge of various benefits offered by the Income-tax Law to senior citizens. ​5. Is a very senior citizen granted exemption from e-filing of income tax return? ​​From the assessment year 2015-16 onwards any taxpayer filing return of income in Form ITR 1/2/2A and having a refund claim in the return or having total income of more than Rs. 5,00,000 is required to furnish the return of income electronically with or without digital signature or by using electronic verification code. However, Income-tax Law grants relaxation from e-filing in above case to very senior citizen. In other words, a very senior citizen filing his return of income in Form ITR 1/2/2A and having total income of more than Rs. 5,00,000 or having a refund claim can file his return of income in paper mode, i.e., for him e filing of ITR 1/2/2A (as the case may be) is not mandatory. However, he may go for e-filing if he wishes. ​6. Is a retired senior citizen granted exemption from payment of advance tax? ​​​As per section 208 , every person whose estimated tax liability for the year is Rs. 10,000 or more, shall pay his tax in advance, in the form of "advance tax". However, section 208 gives relief from payment of advance tax to a retired senior citizen. As per section 208 ​ a resident senior citizen (i.e., an individual of the age of 60 years or above during the relevant financial year) not having any income from business or profession, is not liable to pay advance tax. ​7. What are the benefits available in respect of expenditure incurred on account of medical treatment of specified diseases on treatment of a senior citizen or a very senior citizen? ​​Section 80DDB of the Income-tax Law gives various provisions relating to tax benefits available on account of expenditure on medical treatment of specified diseases. Click the following link to know about details of section 80DDB which covers the details of special benefits under section 80DDB ​available to a senior citizen or very senior citizen. Check page 8 topic "Deduction in respect of expenditure on medical treatment of specified diseases [ section 80DDB ​]"
​8. What are the benefits available in respect of expenditure incurred on account of medical insurance premium/ medical expenditure to a senior citizen/very senior citizen and on account of? 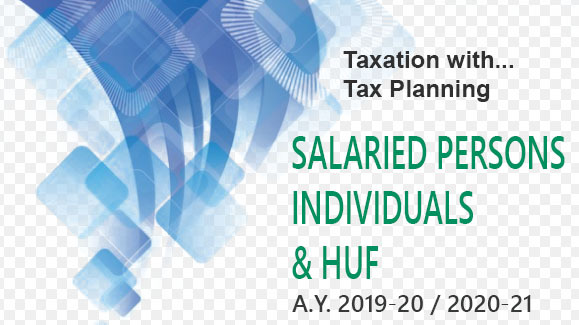 ​​​​Section 80D of the Income-tax Law gives various provisions relating to tax benefits available on account of payment of medical insurance premium and other related items. Click the following link to know about details of section 80D which covers the details of special benefits under section 80D ​ available to a senior citizen and very senior citizen.. Check page 5 topic "Deduction in respect of medical insurance premium [ S​ection 80D ]"